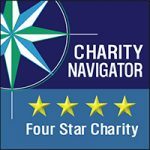 The organization has been awarded the highest four star rating for sound fiscal management and commitment to accountability and transparency by Charity Navigator. By giving to our endowment, you help to plant a seed that will grow to continuously support our student and educator programs. Any generous donor who makes a gift of $5,000 or more to our endowment will become a member of our Laurel Society, and will be recognized with a star on our Laurel Society Legacy Wall in our lobby. If you would like additional information about Planned Giving, please contact Susan McManus at SMcManus@championsforlearning.org or (239) 643-4755 for more information. 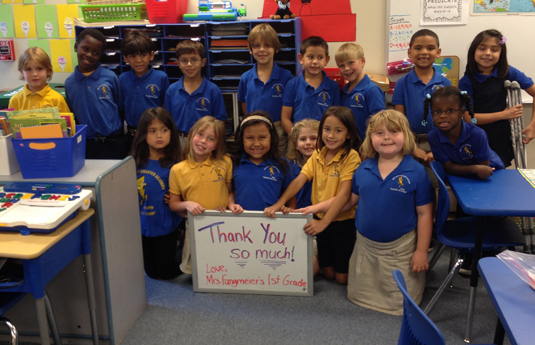 Thank you for contributing to Champions For Learning, The Education Foundation of Collier County. Your donation will make it possible for our community to impact lives by enriching the environment for student learning through educators and directly with students. 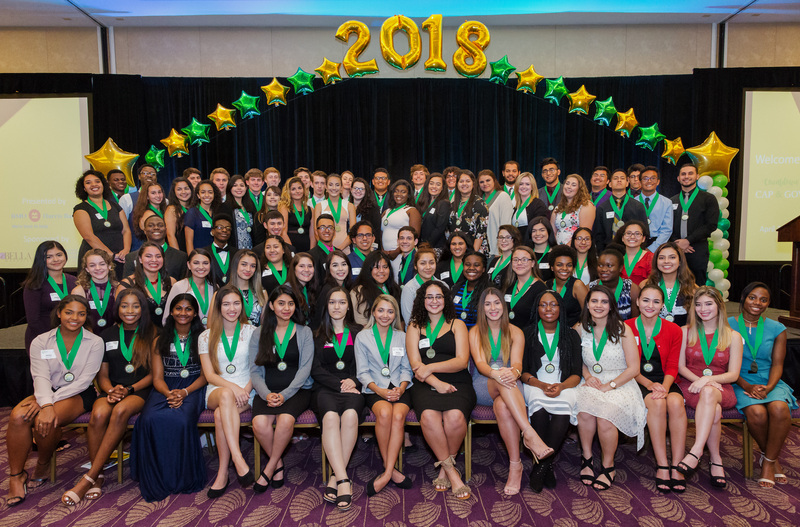 Champions For Learning fosters real world learning opportunities for students and families by providing college and career readiness to help students to succeed. This is accomplished through our Real World Learning college/career program and our Take Stock In Children mentoring/scholarship program. During 2016-2017, our goal has been to significantly increase the numbers of students reached by our student programs. This year, we impacted 8 local high schools (14,000 students). We accomplished this by transitioning from being deeply embedded at Golden Gate High to mobilizing the program to serve additional schools. We look to impact even more students during 2017-18, by raising student program specific funds through events and direct support. 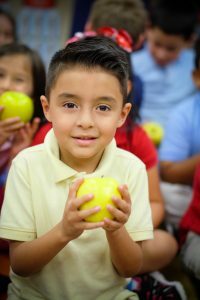 Your donation will be matched dollar-for-dollar by challenge gifts from the Consortium of Florida Education Foundations, Richard M. Schulze Family Foundation and Suncoast Credit Union. All students are eligible to apply for a college/career prep program as 11th graders. 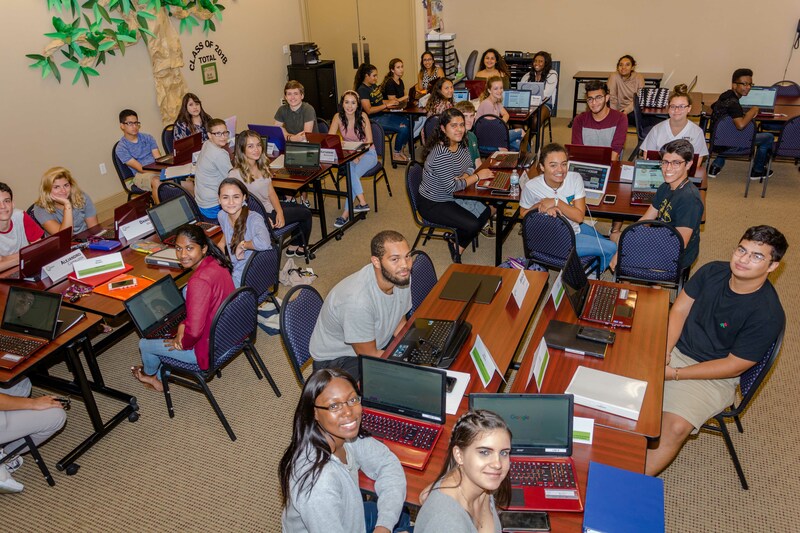 Support is provided to help them apply for college, complete a degree or credential and to establish their career path and goals; a key component is teaching strategies to help them find the resources to pay for their education with little/no debt. 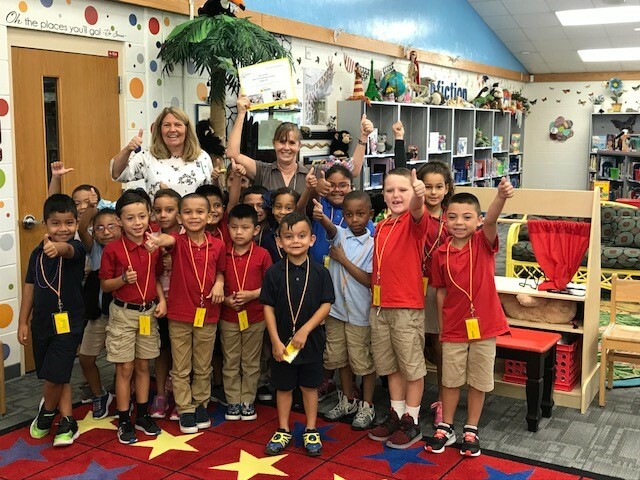 In addition, Champions For Learning works with a range of collaborative partners and many volunteers to ensure that students and families countywide have access to key information and resources. Sponsor a student through 2 years of College and Career Prep for $5,000. The donor’s name will be recognized at an upcoming Student Programs graduation. Students with economic needs are selected in the 8th grade, meet with an adult mentor (approximately weekly) on school grounds, maintain their grades, remain drug/crime free and upon graduation, earn a two-year tuition scholarship to a Florida state college. Your donation will be matched dollar-for-dollar by the Florida Pre-Paid Foundation. Students who complete the Take Stock n Children program eacn a two-year tuition scholarship to a Florida state college or technical school. Each scholarship costs $5,000 (which is then matched dollar-for-dollar). The donor’s name will be recognized at an upcoming Student Programs graduation as the provider of a specific student’s scholarship. The impact that educators can have on a child’s future is multiplied significantly when teachers and schools have opportunities to collaborate and thrive in the context of positive community support. Our community can invest in the great ideas of teachers and support the sharing of best practices. Specific benefits are available for both event sponsorship and program support. Please contact Jason Kurek at jkurek@championsforlearning.org or (239) 643-4755 for more information. Individuals, organizations and businesses are encouraged to invest in the creativity of a teacher to bring amazing learning experiences to their students. Grant request range from $20-$2,000. Provides opportunities to connect educators with their community and supports their own real-world learning. Schools have opportunities to implement strategic projects that contribute to the success of the school community. Focused on initiatives for Arts & Music, Literacy, and Science & Technology. For sponsorship opportunities, please contact Jason Kurek at jkurek@championsforlearning.org or (239) 643-4755 for more information. Our Countdown to Cap and Gown will celebrate the accomplishments of our graduating class and will include community leaders, students, families, and our top donors to our students programs. Auction Items – In addition to sponsorship, and ticket sales, Champions For Learning is looking for businesses that would like to donate auction items for our events. If you’d like to donate a silent auction item, please contact Jessie Pedraza at JPedraza@ChampionsForLearning.org or call (239) 643-4755. For sponsorship opportunities please contact Jason Kurek at jkurek@ChampionsForLearning.org or call (239) 643-4755. 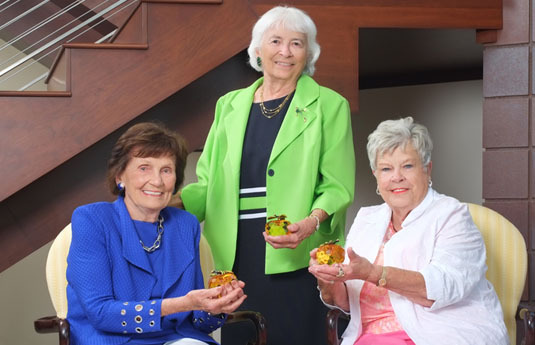 Join us for a celebration that recognizes innovative teaching, which will feature video vignettes on each of the five Golden Apple teachers to give you a glimpse into Collier classrooms. 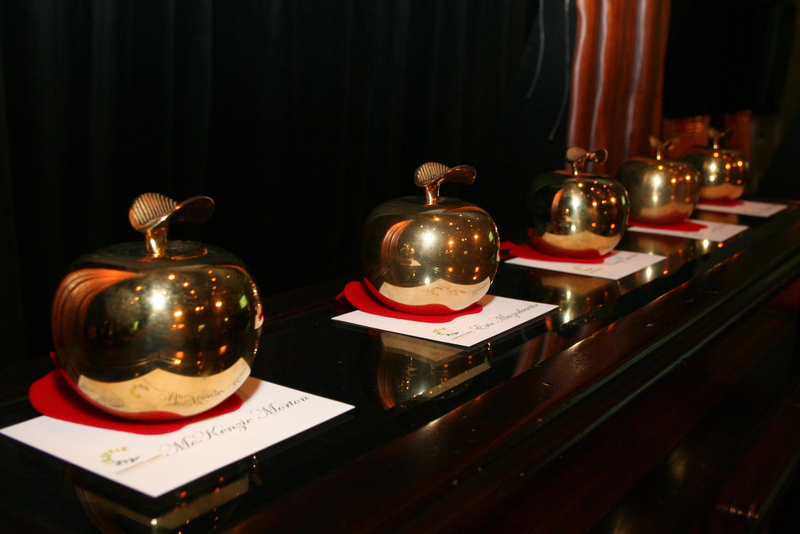 The Golden Apple Teachers of Distinction will also be honored during this special evening. Help students and teachers by providing them with the resources they need to succeed. Help Champions For Learning make an impact on students! Giving opportunities vary from a $100, that’ll help provide a student with a calculator, to a $5,000 sponsorship, that’ll sponsor a student for two years to participate in our College and Career Prep Program. (Dollar-For-Dollar matching opportunity available). 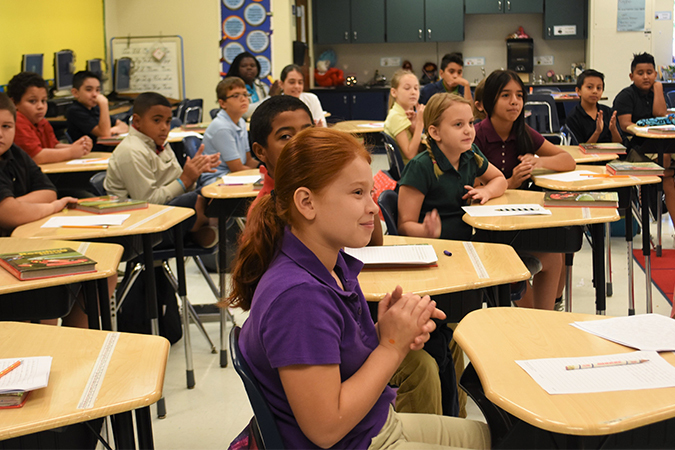 You can fund a Classroom Grant and help a teacher’s innovative project idea come to life! Grants range from $20-$2,000.